The new Q5 Match is built for the competitive shooter. 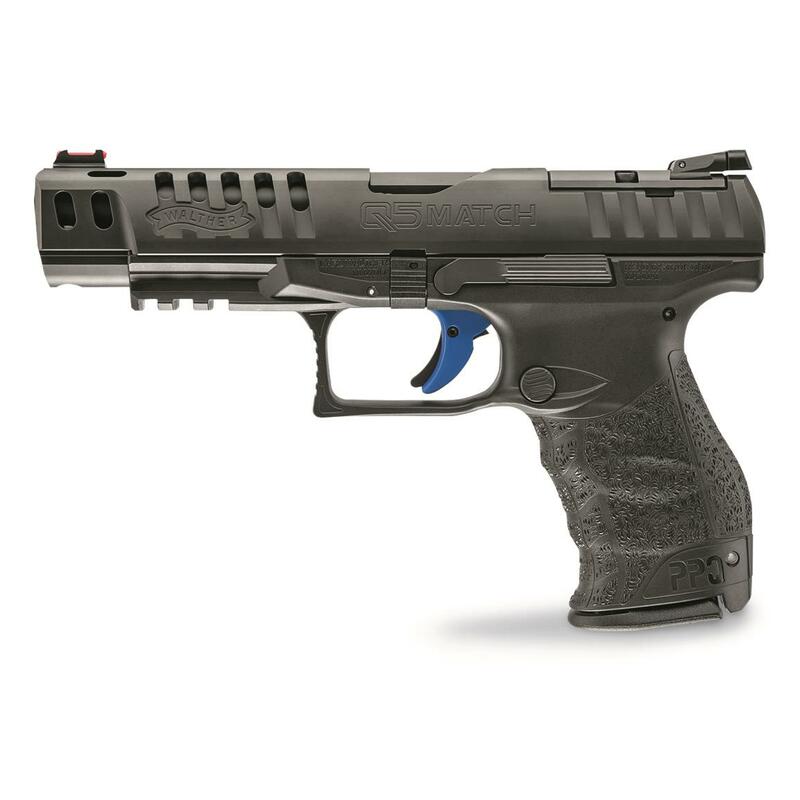 Built around the award-winning PPQ platform, the Q5 Match features an optics-ready slide that accepts a Trijicon® RMR, Leupold® Delta Point, or Docter® red dot sights, in addition to the standard competition iron sights already included. Coupled with a ported slide, Carl Walther signature ergonomics, and a blue quick defense trigger, the Q5 is the firearm that gives you match performance in a production-class firearm. Walther PPQ M2 Q5 Match, Semi-Automatic, 9mm, 5 Barrel, Optics Ready Plate, 15+1 Rounds is rated 5.0 out of 5 by 1. Rated 5 out of 5 by TTTT from Nice!!!!! Price!!!!! 4 A Great Handgun!!!!! LOVE IT!!!!!! Shoots vary well was shooting out the X-Ring first trip to the range. The one and only thing that i can say negative is that for me the handgun has a bit of a high bore axis. i shoot competitively and for me that is the handguns only downside.